Alliance Marine Solutions Pte Ltd is a Singapore based Marine Consultancy firm incorporated by a bench of daring and enthusiastic naval architects and engineers with vast experience in major shipyards, marine consultancy and project management firms across the globe, to provide highly professional services in the field of Naval Architecture, Ship Design, Offshore design, Detail Engineering and Project management. Our technical team includes a diverse pool of international professionals whose educational backgrounds and industrial experience have been carefully selected to add unparalleled insight to day-to-day complexities of marine and offshore industry. Cost conscious and prompt quality services are ensured through strict implementation of quality standards and procedures with regular hands-on evaluations and inspections. We use the latest softwares for job execution as well as quality management and our expertise with the state-of-art technologies empowers us to provide innovative and practical solutions to a wide range of ship-owners, operators, oil companies and shipyards all over the world. Project management and marine survey. 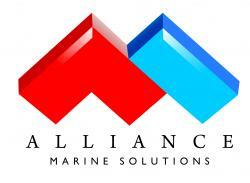 Being one of the rapidly growing such firms in Southeast Asia, Alliance is widely recognized in the maritime world as a niche provider of high quality services in Naval architecture, Marine and Offshore design.